Applications are now open for the latest round of ING DIRECT Dreamstarter, an online crowdfunding initiative supported by StartSomeGood and the School for Social Entrepreneurs that helps get ideas for social change off the ground. Since launching in 2014, the Dreamstarter crowdfunding program has supported 51 social entrepreneurs to raise more than $760,000 for social impact projects across the country – from empowering refugees and migrants with training and employment in the fashion industry to reducing the cost of illegal graffiti on communities by investing in legal street art. 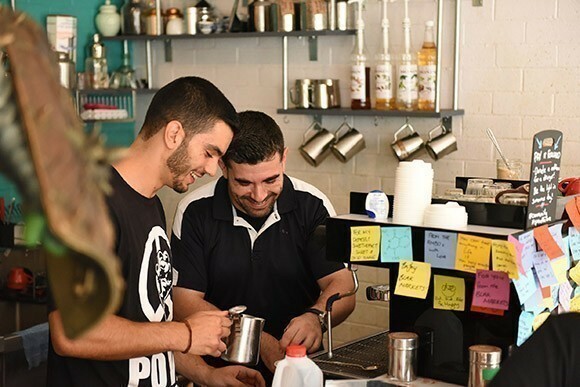 Dreamstarter alumni include Darcy St Project, a coffee school and café in the western Sydney suburb of Parramatta. The social enterprise directly assists disadvantaged communities, Indigenous, youth-at-risk and recent migrants through coffee education and training. Since 2014 it has trained 200 students, providing work experience and life skills to expand their employment opportunities and help them feel included in the community. Thanks to a successful Dreamstarter crowdfunding campaign, Darcy St Project is expanding its training program by purchasing a Wheelys Café: a full-service café on wheels powered by the sun, wind and pedal power. This pop-up café will give Darcy St Project the opportunity to scale their business to train 1000 students every year. The ING DIRECT Dreamstarter community provides knowledge, support and funding to help a wide range of social projects to affect real change in the communities we live in. For selected projects, ING DIRECT will pledge up to 50 per cent of the tipping point to help build momentum and reach the target. Projects will then need to use their own networks to crowdfund the remaining 50 per cent of the pledges, with the help of ING DIRECT’s promotional support. Alongside the crowdfunding program, Dreamstarter provides campaign training and support, grants for growth, providing a financial boost to help take your social enterprise to its next stage, and bursaries funding full scholarships for learning programs with the School for Social Entrepreneurs. StartSomeGood is a crowdfunding platform for social innovation. They aim to create an “everyone is a change-maker” world, where anyone with an idea for creating a better future is empowered to make it happen. School for Social Entrepreneurs (SSE) Australia inspires and equips change-makers and social entrepreneurs to establish, scale and sustain social ventures that foster social and economic participation, and create a lasting impact within disadvantaged communities. Applications are open at ING DIRECT Dreamstarter until 28 August 2016 with live crowdfunding campaigns launching on 18 October 2016.